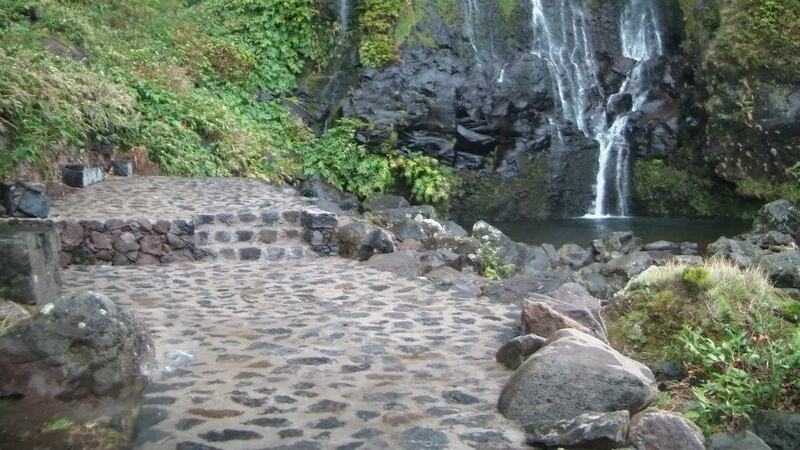 Beginning and ending with the viewpoint of Fajã de Lopo Vaz, this advances from dirt, pavement and stone steps until you reach the Faja de Lopo Vaz, to which its operation is at the discretion of each. 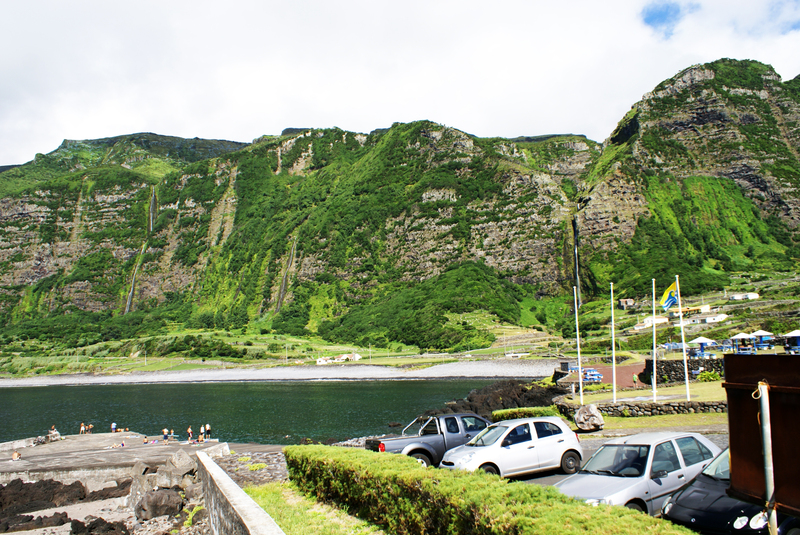 In this there is a source of drinking water, a small beach, small agricultural land, which are usually by wild goats. This section is a Special Protection Area. This begins in the parish of Lajedo and ends in Faja Grande, which always points up the western coastline of Flores and his islanders. This trail runs through the parishes of Mosteiro, Fajãzinha and Ribeira Grande, to reach the Faja Grande, with a path running through a Special Protection Zone. 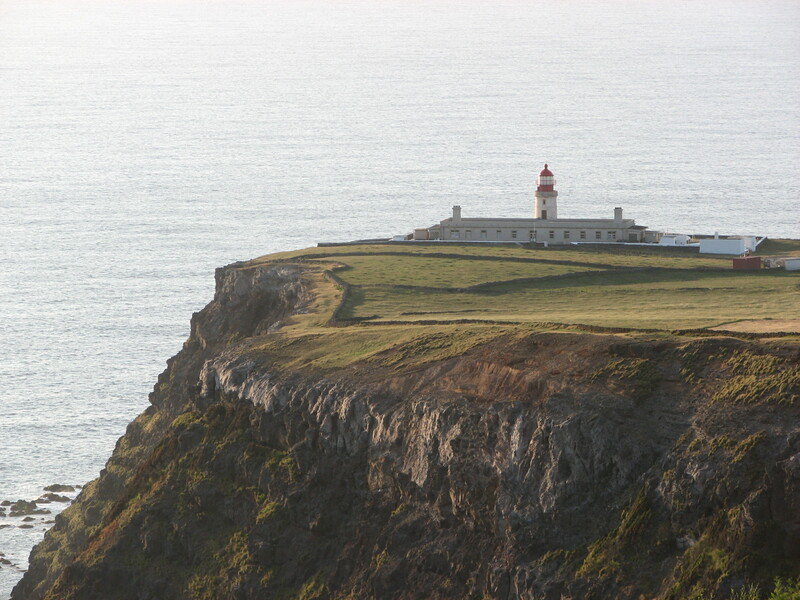 This starts an agricultural road concrete between Ponta Delgada and the Farol da Albarnaz tip and ends at Faja Grande. A journey accompanied by hydrangeas and streams and half way, you can take a look at islet Maria Vaz, Albarnaz tip and Corvo Island. Following up to the Ponta da Faja, a dirt track that alternates with cobble stone, then to the rail end, the road is tarred to Faja Grande. This route goes through a Site of Community Interest. Starting in the Viewpoint of Lagoons and ending in cod Puddle, its start is 50 meters from the gazebo next to the boiler to Long, followed by over an area accompanied by undergrowth vegetation endemic. 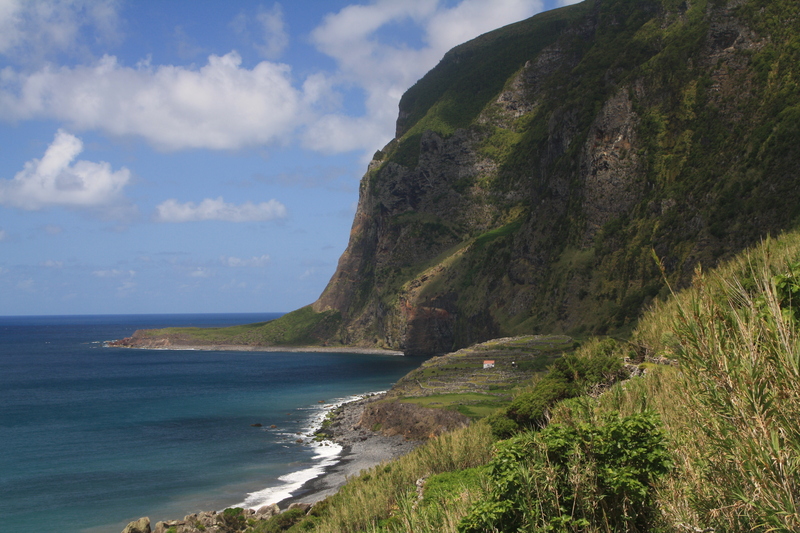 This trail passes by the Caldeira Seca and White Caldeira, reaching the cliffs that allow a view of the cut breath on Faja Grande. Down the pastures, is an old stone staircase, to reach the pastures of Faja Grande, following the path along the Houses Ribeira to achieve Puddle Cod. This path runs in a Site of Community Interest and Forest Reserve.